Hello loves!! Much anticipated shades of Grey (and red) to show you today. 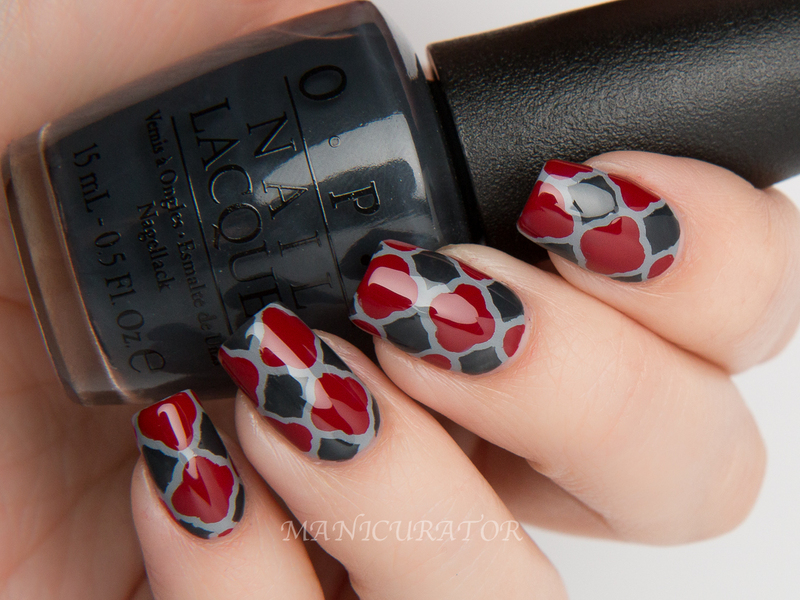 I used 3 of the 6 shades from OPI 50 Shades of Grey collection (Cement the Deal, Romantically Involved, Dark Side of the Mood) for a super cool quatrefoil design! OPI Cement The Deal - perfect light/medium cool toned grey creme. 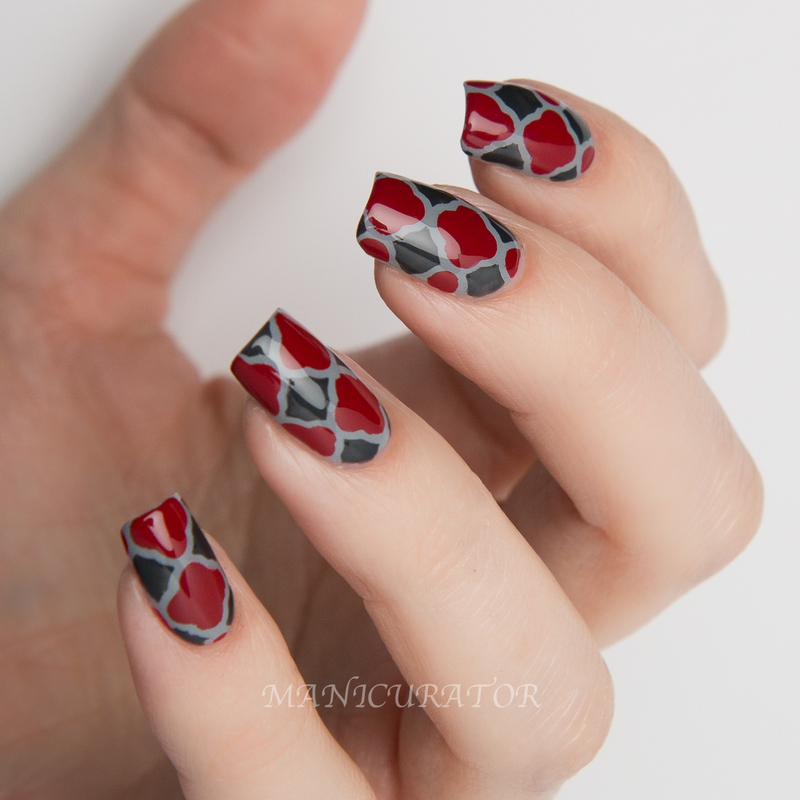 I started this mani with 3 thin coats of Cement the Deal. I think you may be able to get away with 2 thicker coats, but 3 thin worked well for me. 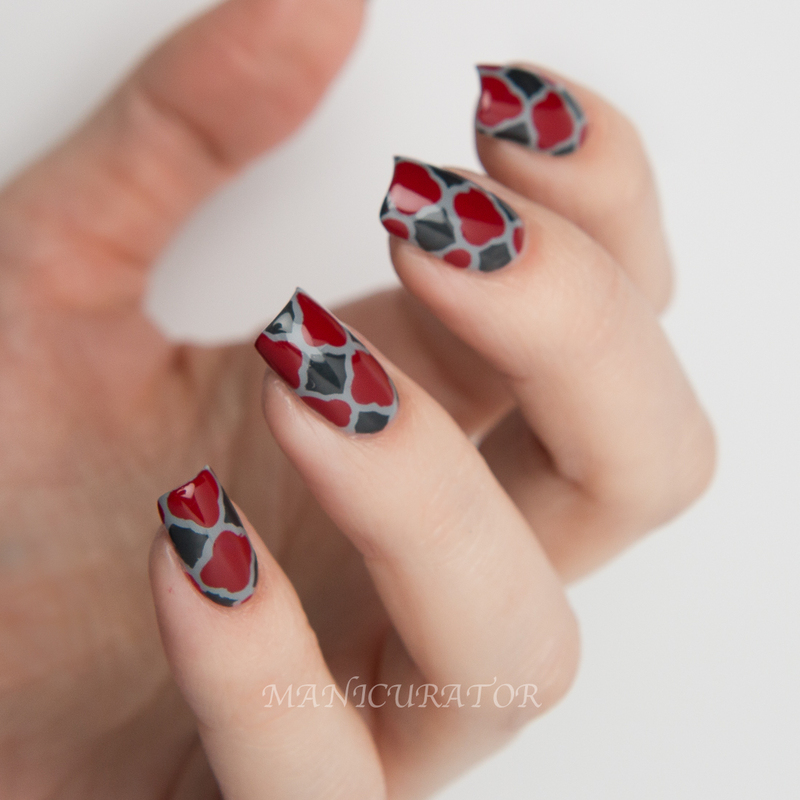 I allowed that to dry down thoroughly then used quatrefoil vinyls which I purchased from vinyl boutique, and painted in the dark grey and red with the brush from the bottle. It didn't come out perfect...but I'm really happy with it. I had no problems with any of the shades in terms of formula or application, granted I didn't do full swatches with the red or darker grey. 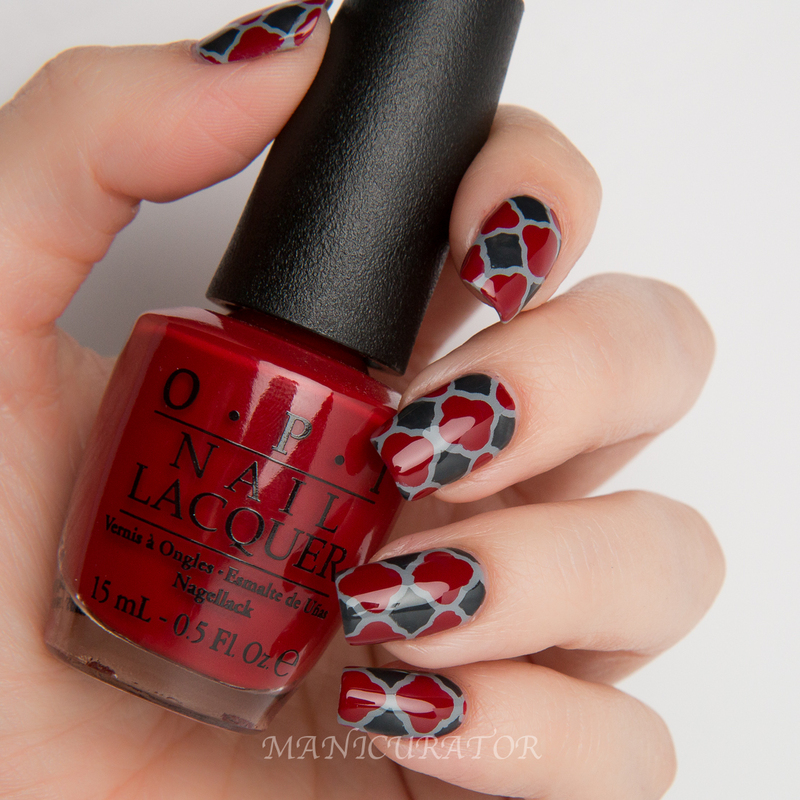 I've always been in love with the quatrefoil design and thrilled it's this easy to get them on my nails. What do you think? I'm looking forward to showing you the other 3 from this collection! That is such a really pretty design and all the colours you chose go great together. Pretty sure I need those vinyls!! Great look! This design is spectacular! And what a perfect collection to do it! Oh my gosh.. this design is fabulous! Love it. The design is beautiful and the collection looks good so far! These are incredible!! Beautiful work! this looks just. plain. awesome! 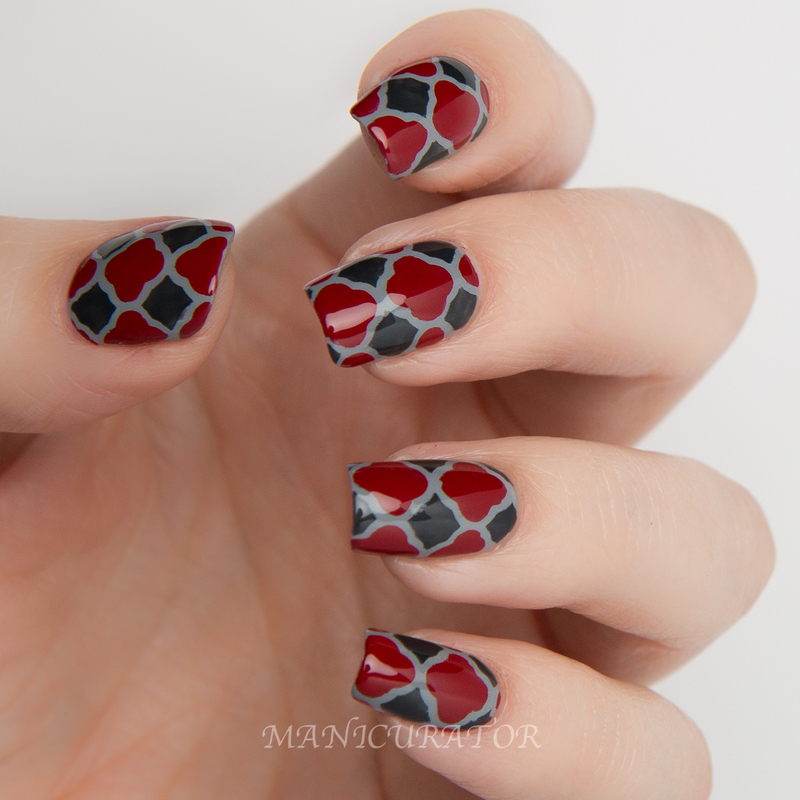 Love these colors together in this design! 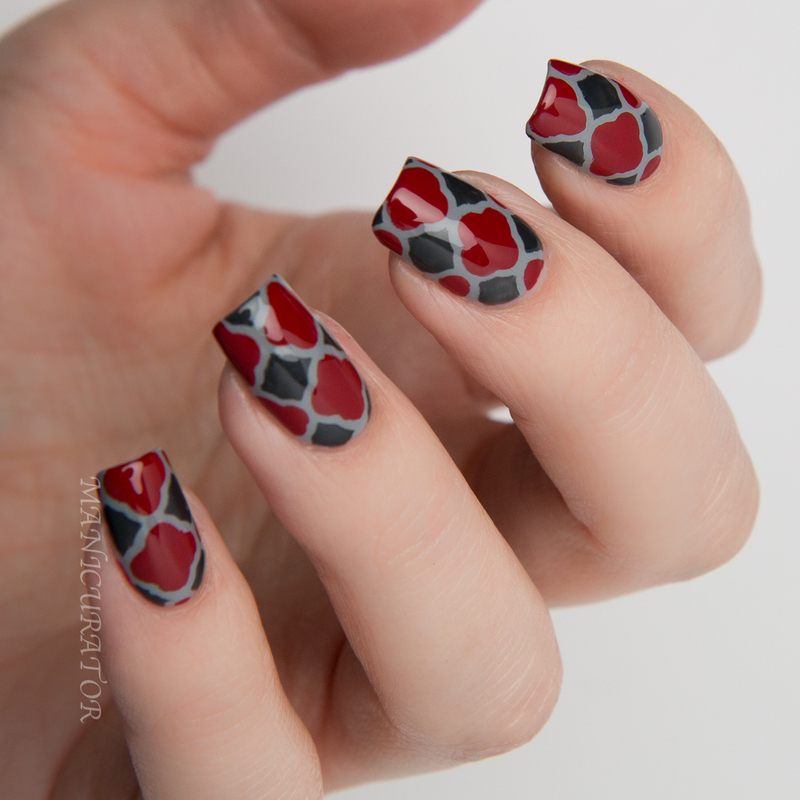 I usually use my dotting to make a similar design, but I didn't know there were vinyls available! I'll have to check them out! Sooo... you are saying this didn't come out perfect?! What could be improved? IT'S STUNNING :D!!! ...this is absolutely perfect. I'm in awe. 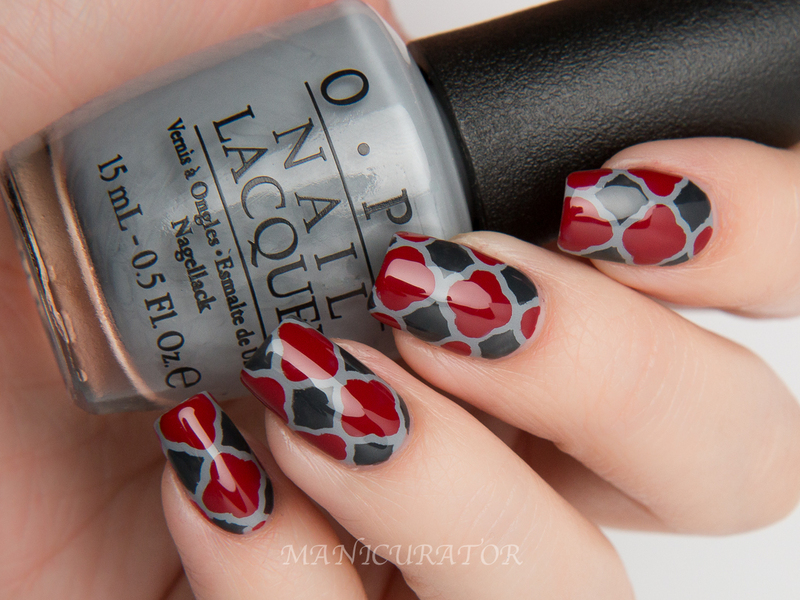 Oooh I love this mani! Perfect for Valentine's Day! This is just absolutely gorgeous! Wow, I really like these!! I don't have a lot of luck with stickers.